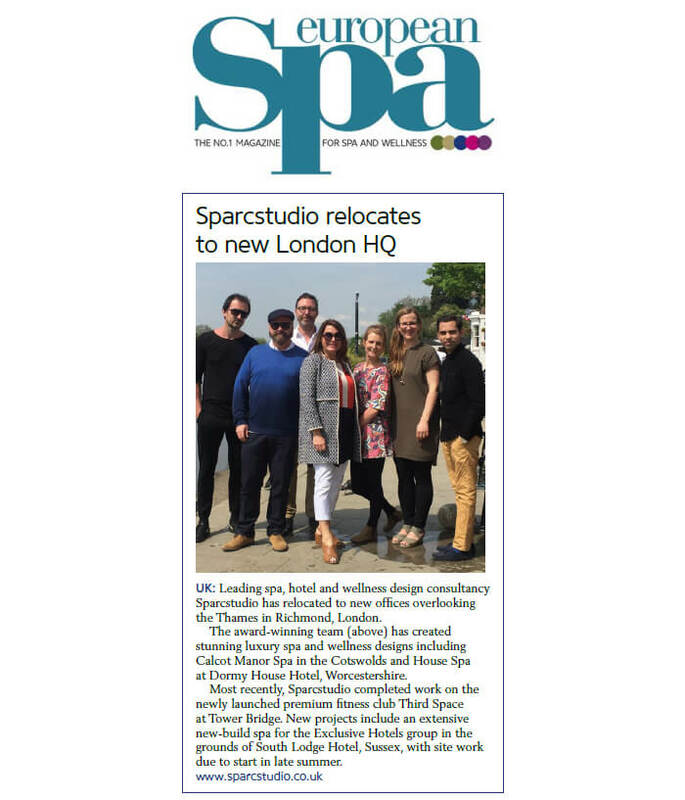 Leading spa, hotel and wellness design consultancy Sparcstudio has relocated to new offices overlooking the Thames in Richmond, London. The award-winning team has created stunning luxury spa and wellness designs including Calcot Manor Spa in the Cotswolds and House Spa at Dormy House Hotel, Worcestershire. Most recently, Sparcstudio completed work on the newly launched premium fitness club Third Space at Tower Bridge. New projects include an extensive new-build spa for the Exclusive Hotels group in the grounds of South Lodge Hotel, Sussex, with site work due to start in late summer.